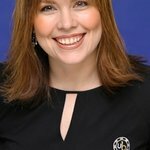 A seat to the 2010 World Series of Poker Tournament and a personal Segway is up for grabs at Annie Duke's next charity poker tournament. In support of After-School All-Stars, Arnold Schwarzenegger's after-school nonprofit for at-risk youth, Duke is hosting a celebrity-filled tournament on May 20th, 7:30 pm, at the Commerce Casino in Los Angeles, California. Additional confirmed celebrities to-date include: Trishelle Cannatella (The Real World), Jennifer Elise Cox (The Brady Bunch Movie), Rafe Furst (poker player), Scott Ian (Anthrax), Adam “Roothlus” Levy (poker player), Tiffany Michelle (poker player), Shanna Moakler (Meet the Barkers), Joshua Molina (The West Wing), Ali Nejad (Poker After Dark), and Brian Peeler (Workout). Dianna Donofrio-Trigatzi, Nevada State Director of the Poker Players Alliance will act as Guest Tournament Director.